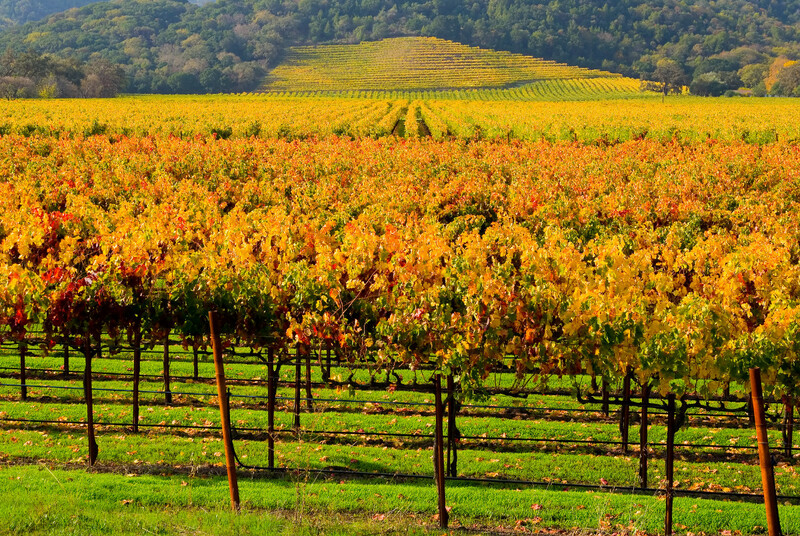 Sonoma County is home to almost 60,000 acres of vineyards, and more than 450 wineries. The food-centric region boasts hundreds of restaurants, from historic roadhouses, to contemporary locavore pubs, to many Michelin-starred destinations. Like any great region, there are numerous natural landmarks here, as well, including historic state parks, and beautiful ranches dating back to the 1800s. Adding to the pleasure, each geographical area within Sonoma County’s million-plus acres offers its own distinctive treasures, as diverse as coastal ocean cliffs to inland mountain ranges. Indeed, you could easily spend two or three days in each area, and only scratch the surface. With so many wonderful choices, a first-time visit might seem overwhelming. But take a dip with our highlights guide, and discover a taste of the most celebrated experiences. Follow along as we explore the “must-sees” of Sonoma Valley, the town of Sonoma, and the Carneros area just south of it all. 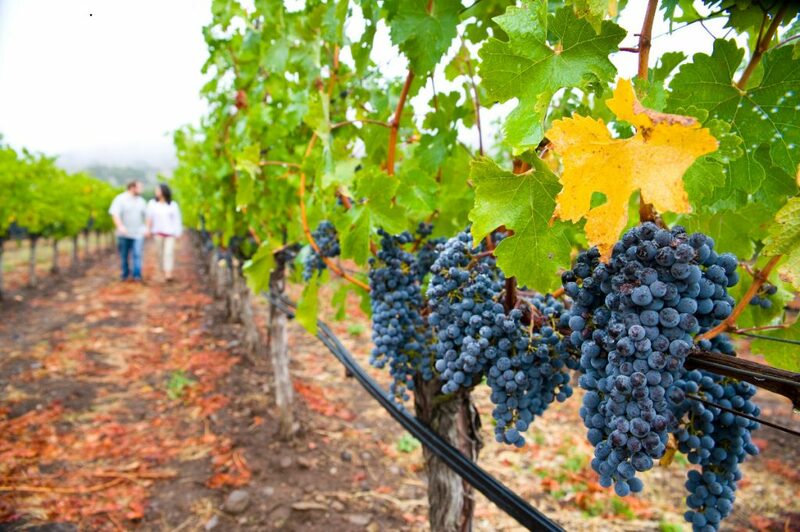 The birthplace of the California’s commercial wine industry in the 1850s, Sonoma Valley now covers more than 14,000 acres of vineyards, dotted with more than 50 wineries and tasting rooms. 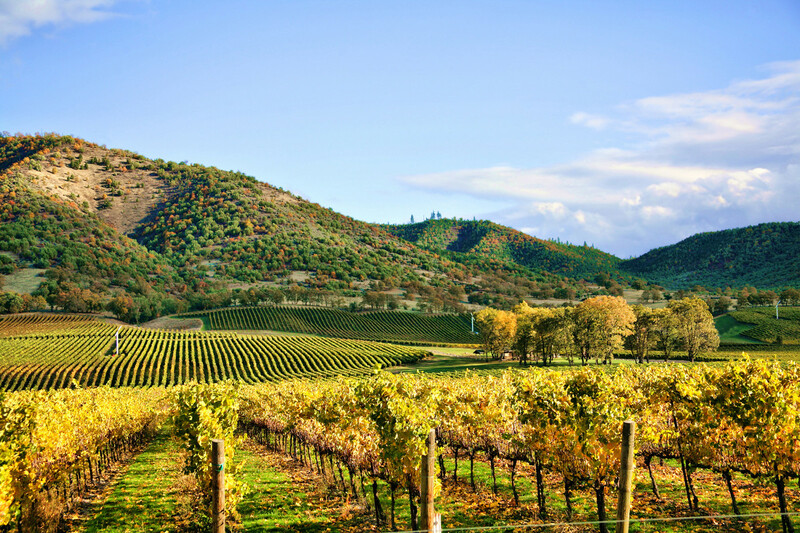 Rich with bucolic farms and some 13,000 acres of open parkland, Sonoma Valley also boasts some of the County’s best outdoor recreational activities. So prime yourself for a busy day with a hearty breakfast at El Molino Central. It doesn’t look like much from the outside of its small white stucco frame, but inside, there are organic heirloom corn kernels being painstakingly hand-ground on a stone wheel for tortillas and tamales. 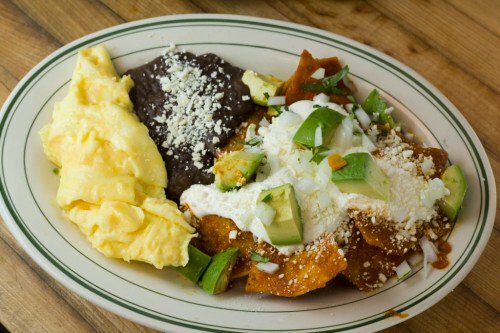 Dig into the mouthwatering chilaquiles topped in soft-scrambled Field of Greens eggs, roasted tomato and Alma’s salsa verde, and be sure to add a side of refried Rancho Gordo heritage beans. Community Café, a Mad Men-like retro diner with modern dishes like Truffled Eggs & Toast, a sumptuous soufflé of thick-sliced toasted English muffin stuffed with egg yolks, draped in fontina cheese, broiled, then smothered in sautéed wild mushrooms, asparagus and a drizzle of truffle oil. Sunflower Caffe Espresso & Wine Bar, where the specialty is sweet or spicy chai latte “dirty” style, with a shot of espresso added (great with the Peruvian spiced chicken omelet with cilantro lime cream, sweet-spicy aji chile crema and black bean chili). A visit to Buena Vista Winery is next, to see the oldest commercial winery in California. Founded in 1857, it’s complete with caves that are now historical landmarks. The buildings and cave have recently been renovated for modern safety measures, but remain elegantly dark and mysterious, with a new attraction: an interactive museum of ancient winemaking tools. 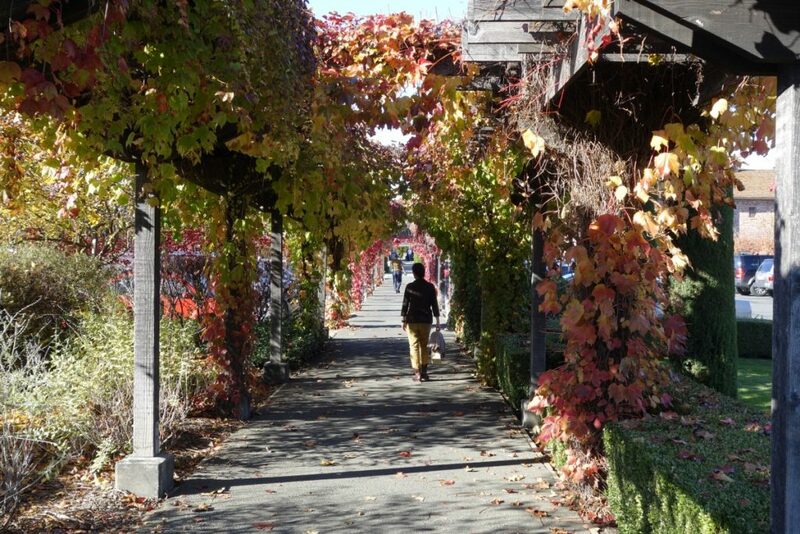 Now head to the 400-acre Bartholomew Memorial Park just over the hillside, which is also home to Bartholomew Park Winery. The on-site museum shares the long history of Sonoma winemaking, including a display of primitive agricultural tools used since the park’s original villa was built in 1861. Gundlach Bundschu, an historic 1858 winery, with caves carved into a gentle hillside. Three Sticks at the Adobe of Sonoma, a sleek new tasting room in the 170-year-old Vallejo-Castenada adobe home. Sebastiani Vineyards & Winery, where the famous 1904 winemaking family still crafts its art on 4th Street East. You’re ready to catch your breath for a few minutes, so dig your toes into the grass beneath the shade trees in the eight-acre Sonoma Plaza (the largest such plaza in California). 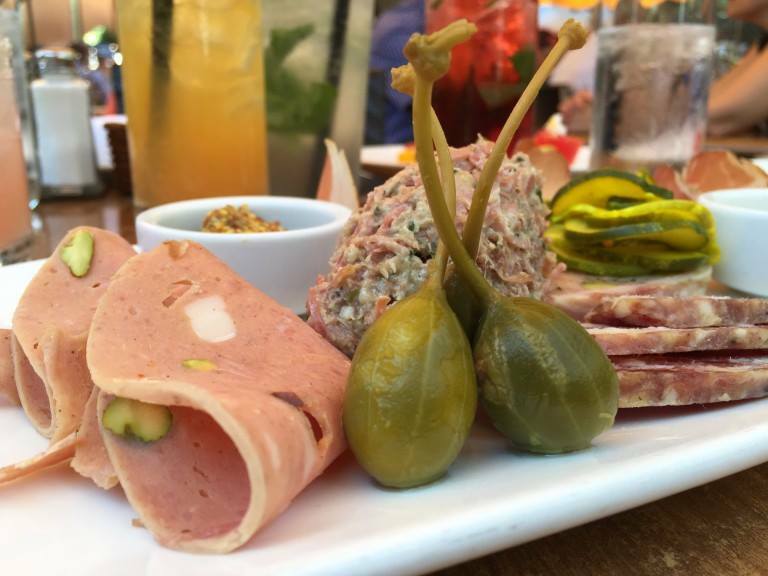 When you’re ready to get up, lunch is just steps away, at the famous The Girl & the Fig. The French-country restaurant has built its reputation on stellar, seasonal plates like duck egg ravioli with spring mushrooms, onion crema, green garlic, spring peas and baby carrots sprinkled in smoked paprika. The Plaza is great for shopping in the many boutiques, art galleries and gourmet food stores lining its sidewalks. You’ll also want to tour the National Historic Landmark adobe buildings right along the walkway, designed in 1834 by the Mexican Governor Mariano Vallejo. 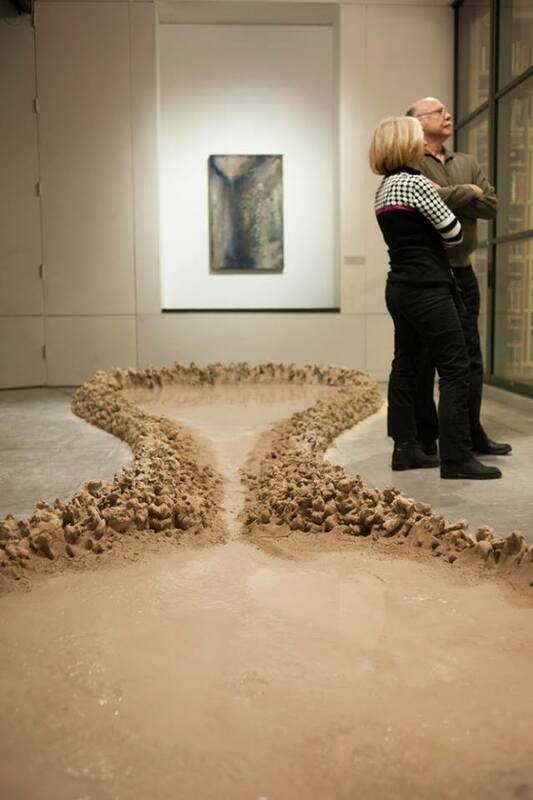 Stop, too, at the Sonoma Valley Museum of Art, designated as the largest visual arts organization in the San Francisco North Bay region. 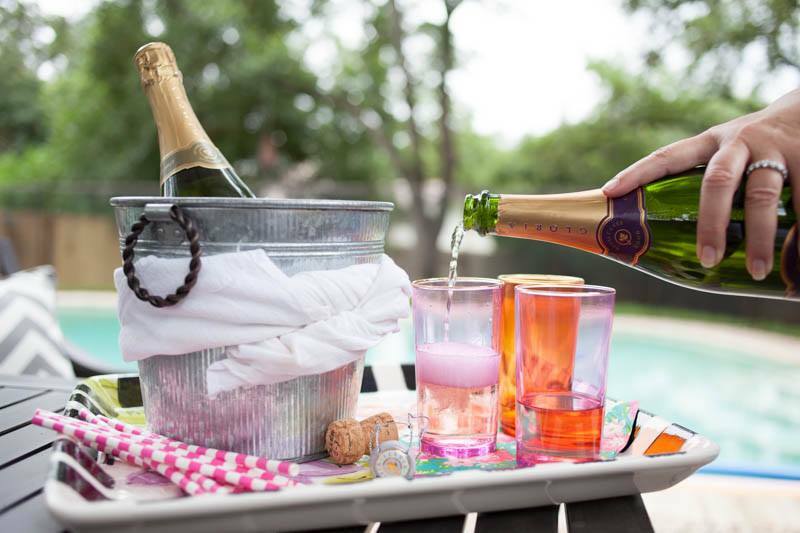 That evening, stay at El Dorado, a 27-room luxury boutique hotel dating to the 1840s but completely modernized and charming with four poster beds and French doors leading to private balconies overlooking the Plaza and gardens. The Fairmont Sonoma Mission Inn & Spa, a historic, mission-style property opened in 1840. Sonoma’s Best Cottages, a private oasis of four bungalows near the Plaza. For dinner, the AAA Four Diamond Award Santé restaurant at the Fairmont Sonoma Mission Inn & Spa is a worthy, and most memorable indulgence in upscale California cuisine. Treat yourself to the 7-course chef’s tasting menu including amuse and cheese plate — sweet butter poached lobster is an entree signature. 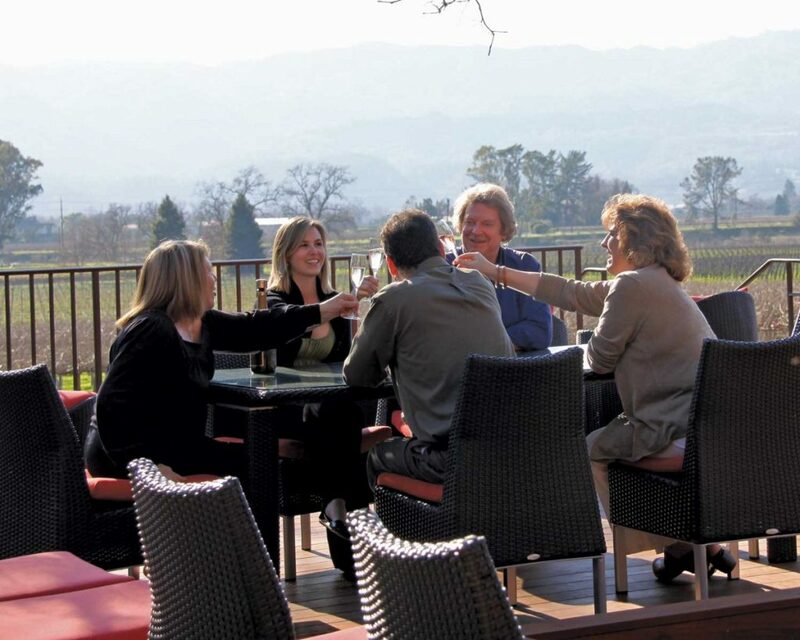 Sip, too, since the wine list features more than 500 Sonoma and Napa wines. Carneros spans 8,000 vineyard acres with more than 20 wineries, tucked atop San Pablos Bay just south of the town of Sonoma. There’s lots to see, so fuel yourself with a big breakfast at The Fremont Diner, where chef-owner Chad Harris fills our bellies with Sunset magazine award-winning comfort food like fried chicken and waffles, fried fruit pie, chicory coffee, fluffy biscuits and creamy gravy. Schug Carneros Estate Winery is another nearby treasure, internationally renowned for its Pinot Noirs. 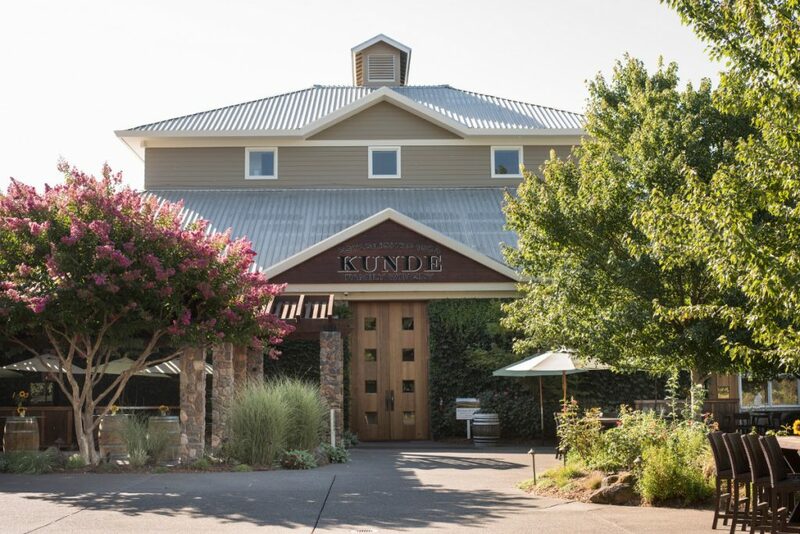 The place is classic, set on a hillside of vineyards bordered by rose bushes, a German chalet-style winery, and stone caves lined with wine barrels. Zip over to another icon, Gloria Ferrer Caves & Vineyards, to toast your adventures with the signature sparkling wine at just around the Hwy. 121 bend. Established nearly 30 years ago, this winery was the first sparkling wine house in the Carneros area, though you’ll learn on your entertaining, educational tour through the caves and vista terrace that the Ferrer family has been making sparkling wines for more than 150 years. In December of 2013, St. Francis Winery & Vineyards in Santa Rosa was named the No. 1 restaurant in all of America, courtesy of Open Table. So what better place for a star-studded lunch, featuring a six-course tasting menu prepared by executive chef David Bush paired with wines from St. Francis’ artisan collection? You might have bouillabaisse of fresh fish and shellfish, fingerling potatoes, fennel fronds and grilled crostini topped in rouille with a glass Cabernet Franc, for example, plus grilled bavette of beef with Bloomsdale spinach in sesame-miso vinaigrette, baby turnips, garlic chips and truffled ponzu alongside a glass of Merlot. Soak up even more beauty at Jack London Historic State Park just minutes away, which the renowned 19th Century author himself called “Beauty Ranch.” You can easily spend at least three hours here, strolling around the House of Happy Walls museum, London’s famous writing cottage, the Wolf House ruins, the delightful and innovative Pig Palace, barns, the lake and bathhouse. Hikers and horseback riders share the 26-mile trails, too, marked by a 2,000 year-old redwood tree. All this exercise means you can reward yourself with an extra fine dinner, and there is little finer than Glen Ellen Star, where former French Laundry talent Ari Weiswasser draws crowds nightly for his award-winning California-Mediterranean cuisine. The menu changes frequently with the seasons, but always celebrates a fire-fed wood oven for favorites like wood roasted heirloom baby carrots smoothed in Oaxacan mole and topped in sesame seed brittle; and wood oven roasted lamb meatballs atop couscous, red charmoula and preserved lemon. Save room for a sweet finish of homemade salted peanut butter ice cream. Need more information, please visit sonomacounty.com. 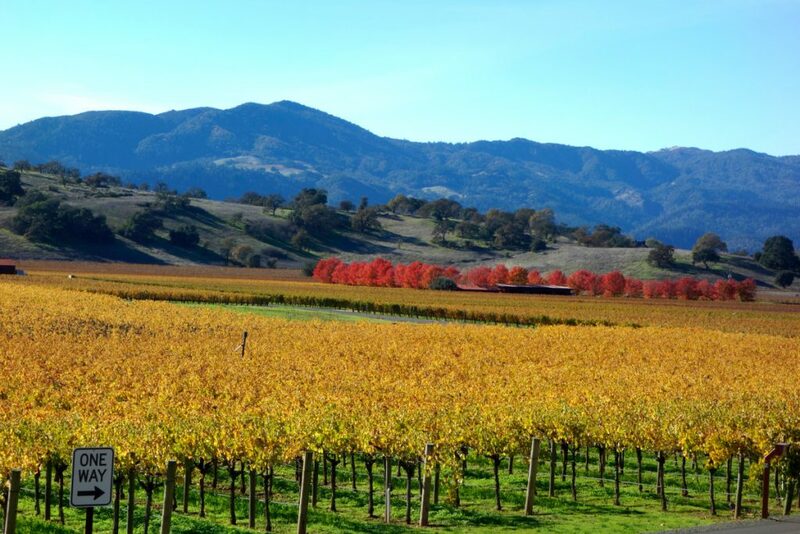 If you need help in planning your getaway, check out our Napa and Sonoma Valley vacation package. Carey Sweet is a food, wine and travel journalist based in Sonoma County. You can read her work in the San Francisco Chronicle, USA Today, Time Inc. publications, airline travel magazines, Gannett newspapers and numerous travel magazines and websites. Follow her on careysweet.com. The secret to a successful family vacation, as any parent knows, is variety. Balancing things the kids want to do, with adventures that will keep mom and dad loving life, is that sometimes elusive charm. It’s a truth no matter what thrilling part of the globe you’re tripping. 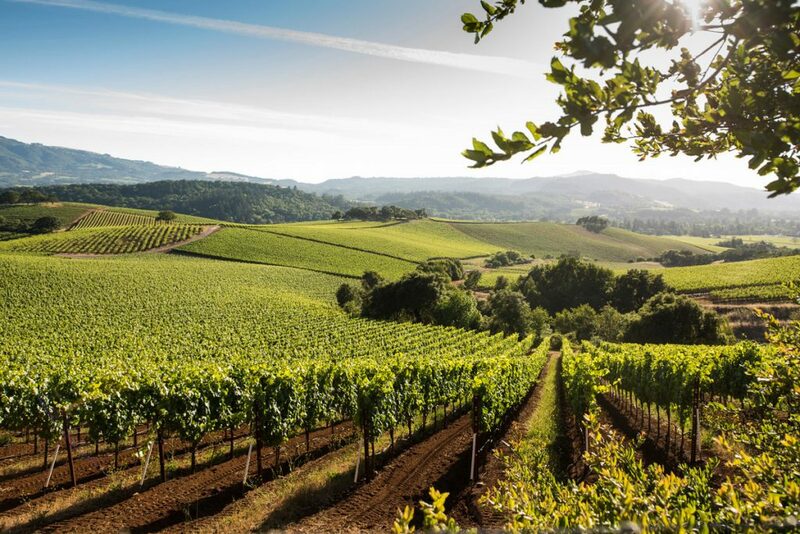 In Sonoma County, with more than a million acres to explore, there’s something to engage everyone from the tiniest traveler, to picky teenagers, to world-traveled adults looking forward to indulging in authentic Wine Country. Here, landscapes brim in gorgeous diversity, with sandy beaches and rugged ocean cliff hiking trails beckoning, alongside grassy meadows tempting for picnics, lakes and ponds promising boating and fishing, and mountain trails perfect for hiking as they soar to scenic peaks amid lush forests. In the many tiny towns anchored by relatively large city of Santa Rosa (172,000 pop. ), there’s plenty for families to do indoors, as well, like ice skating year-round, visiting world class art galleries, and playing state-of-the-art arcades. Certainly you could spend a week or more in Sonoma County and just scratch the surface of its many joys. But even a two-day getaway comes packed with delights the whole family can enjoy – all together! Fly into Sonoma County Airport (STS), right in the heart of the Santa Rosa vineyard region, and convenient as a connection from major hubs like Los Angeles, Seattle and Las Vegas. San Francisco International Airport is only 90 minutes south. Enjoy the scenic drive with a photo stop at the north end of Golden Gate Bridge. Sacramento International Airport is just over an hour northwest with convenient I-80W access. Head first to the storybook town of Occidental, and check into the Inn at Occidental, a cozy, 28 room retreat nestled at the base of a beautiful redwood forested hillside that’s perfect for letting kids burn off steam with Mother Nature. Theme rooms are fun, like the Safari suite boasting a giraffe mural. 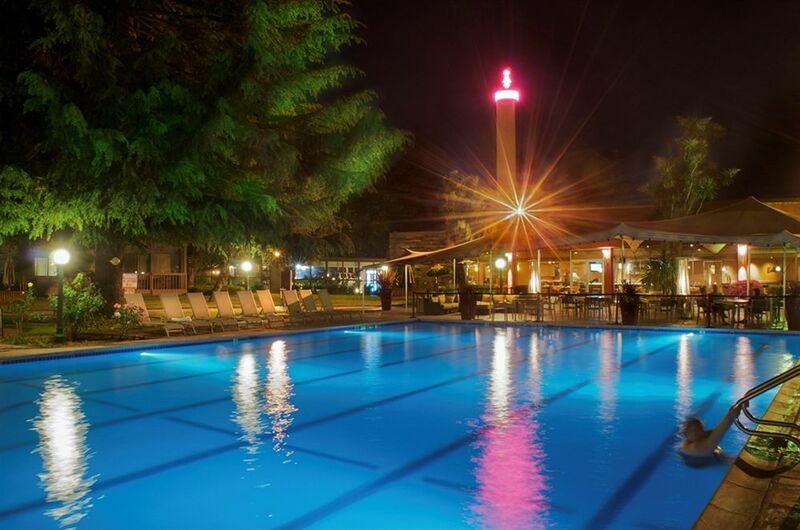 There’s a seasonal swimming pool, and you’re just steps from the Village’s restaurants, Friday Night Farmers Market, Performing Arts Center, and eclectic shops like Mad Hatter Toys, or Hand Goods, offering a fine selections of locally-crafted works such as pottery, hand knits and jewelry. 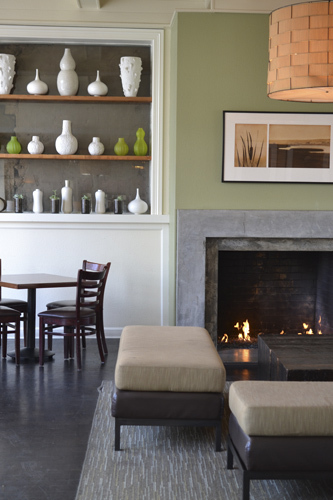 After a morning touring the village, enjoy lunch at the Union Hotel, founded as a railroad saloon and boarding house in 1879, and now home to a lovely Italian café, bakery and pizzeria. Run by the property’s owners since 1925, the café is pure charm, from the red-checkered tablecloth tables set with candles dripping over Chianti bottles, portraits of the original owners on the walls, and whimsical touches like a jukebox. Favorites include chicken Parm, grilled rib eye with mushrooms, Margherita pizza, a mouthwatering spaghetti/ravioli combo smothered in Bolognese, and an appealing kids menu. 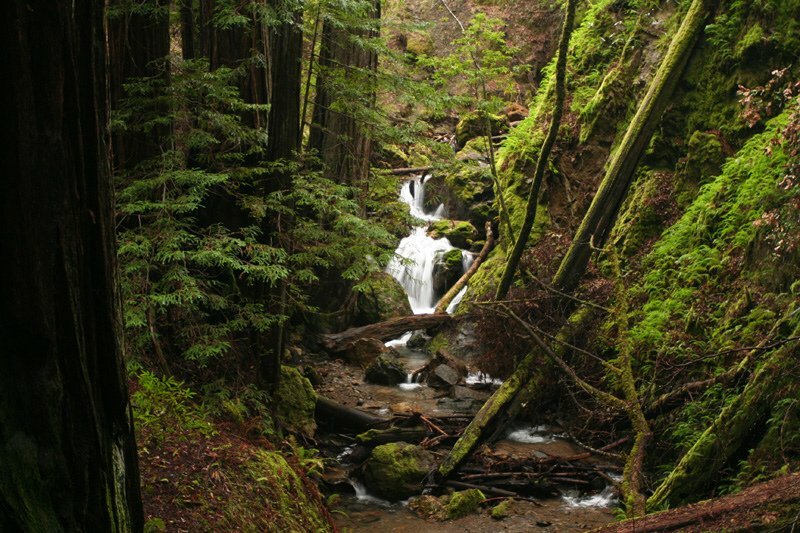 Next, amble over to Armstrong Redwoods State Natural Reserve in nearby Guerneville. This 805-acre oasis is a quiet place for a leisurely stroll among towering coast redwood trees. As huge as the park is, it’s easy to navigate, over the mostly flat, mile-and-a-half long round trip Pioneer Nature Trail. Some of the most pop­u­lar trees include the Ici­cle Tree, with its mys­te­ri­ous “burl” for­ma­tions, the Colonel Arm­strong Tree, esti­mated to be over 1,400 years old, and the Par­son Jones Tree, towering to 350 feet (that’s taller than a football field is long). 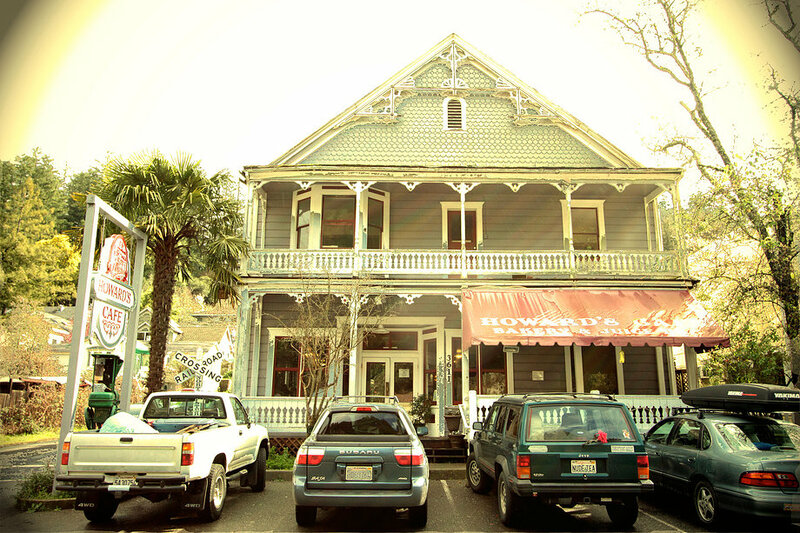 Downtown Guerneville offers plenty of amusement for everyone, as well, browsing eclectic toy stores, vintage shops and art galleries, and a romp at Johnson’s Beach, just beneath Guerneville’s entryway bridge. Here, you can lounge on the spotlessly clean river sandbar with rentable umbrellas and beach chairs, or on the water, meandering its gentle currents with by-the-hour canoes, kayaks and pedal boats. For dinner, Three Alarm Grill on Main Street satisfies everyone with its tasty prime rib specials, chicken pot pie, and the River Dog, an all beef Vienna hot dog wrapped in bacon, with BBQ sauce and fries. 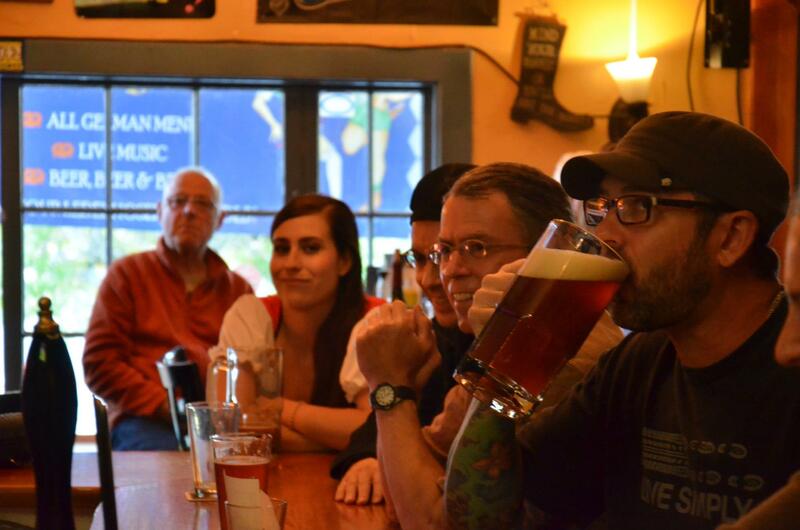 Finally, after the kids are tucked in at the hotel, mom and dad can head to Barley and Hops Tavern, to sip local craft beers, nibble on big, warm German pretzels dunked in spicy mustard, and groove to live music on weekends. Welcome morning with a delicious breakfast at Howards Station Café, a quaint Victorian home-turned-restaurant complete with a dine-in porch. The menu is expansive, ranging from corned beef hash and homemade biscuits, to smoked salmon Florentine omelets, crab Benedict, and even tofu rancheros with soy cheese. 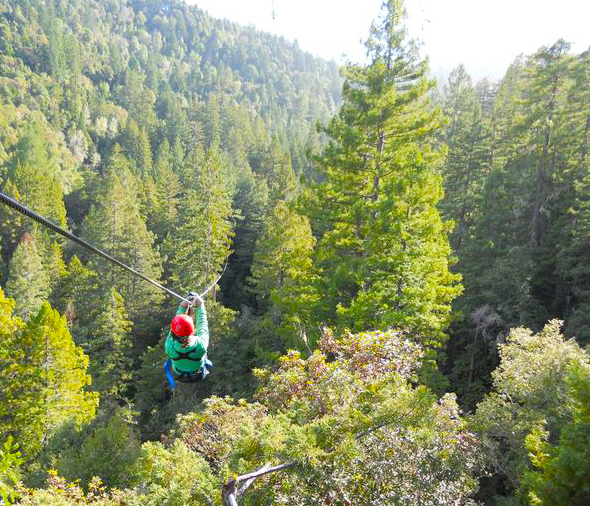 Fueled up, it’s time to zip over nearby Sonoma Canopy Tours, for zip-lining. The course wings you up to 25 miles per hour through an Occidental redwood forest, over a ravine 300-feet below, and along a creek. Part of the fun is just getting to the jump canopies, since eleven different platforms test your clambering skills, too, daring you to scale a skinny spiral staircase 30 feet up, and wobble across a 175-foot-long sky bridge. 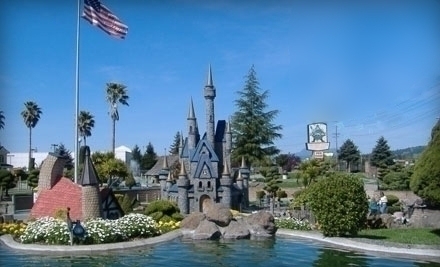 Next, channel everyone’s energy to Scandia Family Fun Center in Rohnert Park, near Santa Rosa. This is a kid’s fantasyland including two 18-hole miniature golf courses complete with tiny buildings, bridges, and waterways, 18 batting cages with slow pitch and fast pitch, bumper “blaster” boats equipped with water sprayers, a Lil’ Indy Raceway, and an indoor game arcade. By now, you’re hungry, so skip over to the new Amy’s Drive-Thru just up the street. It’s fast food with burgers, burritos and pizzas, but everything is purely vegetarian and made from scratch. 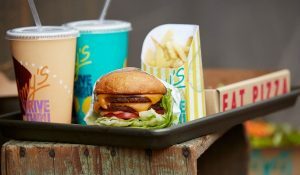 You don’t even have to tell the kids – they won’t notice it’s not meat in the divine Amy’s Burger of two veggies-grains-mushrooms patties topped with double cheese, tomato, onion, Sonoma Brinery pickle, and Fred Sr.’s regular or spicy secret sauce all on a toasted bun. Scamper over to Petaluma now, for a complimentary (reservations, please) tour of Mrs. Grossman’s Sticker Factory, the oldest and largest sticker company in the United States. You can admire some of the millions of stickers getting printed, plus there’s a sticker museum, a gift shop, and a class where kids — young and old — can decorate postcards using the signature stickers. Next, head into nearby Santa Rosa, for a tour of the Charles M. Schulz Museum. The entire family surely adores Peanuts, and this is a true museum celebrating the longtime former Santa Rosa resident cartoonist. Spanning 27,000 square feet of whimsy and art, including about 7,000 original cartoons, it’s the largest collection in the world. The Peanuts crew was often seen skating in popular strips, so in tribute, Snoopy’s Home Ice operates year-round just around the corner from the museum, too, with open public skating and skate rental daily. You’re ready to put up your feet for a bit by now, so check into your rooms at Flamingo Conference Resort & Spa in Santa Rosa. Newly remodeled luxury rooms attract modern guests for sleek fixtures in cozy palates of gold and cream, yet the property is still a beloved heritage destination for its stylish wood-trimmed rooms that once welcomed celebrities like Jayne Mansfield. revolving, neon trimmed 50-foot tower capped with a spindly legged pink bird neon sign. Bonus: all stays include a breakfast buffet and free wine tasting passes at a rainbow array of nearby wineries, while mom and dad will like the salsa dancing lessons in the ballroom, too. Finish for dinner at Flavor Bistro, located on Old Courthouse Square. This Cal-American bar and eatery is a see-and-be-seen destination for business folks, politicians, neighborhood regulars, and the occasional very lucky tourist who happens to discover a local (secret) treasure. 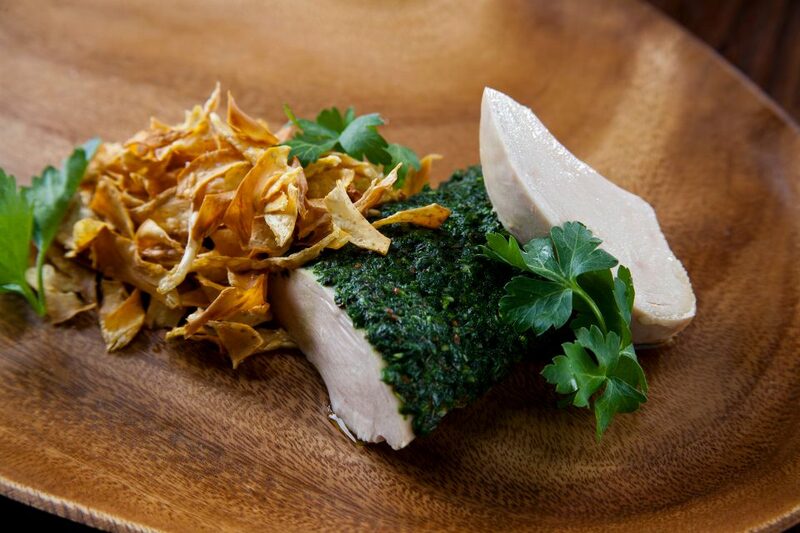 Dinner is a particular jewel, starting with the extensive Sonoma-centric wine list, and luxurious entrées such as pan-roasted quail, center-cut short ribs, or roast duck in honey-balsamic reduction. On Farmhouse Wednesdays, the kitchen sends out full, first-rate family style suppers with a glass of wine included, for a jaw dropping $18.95. That might mean chicken Parmigiana, creamy garlic potatoes, arugula pasta, winter veggies, sautéed spinach, Blue Lake beans, heirloom tomato soup, organic romaine salad in lemon-Romano dressing, warm stone oven bread with butter, and pear tart with Chantilly cream. 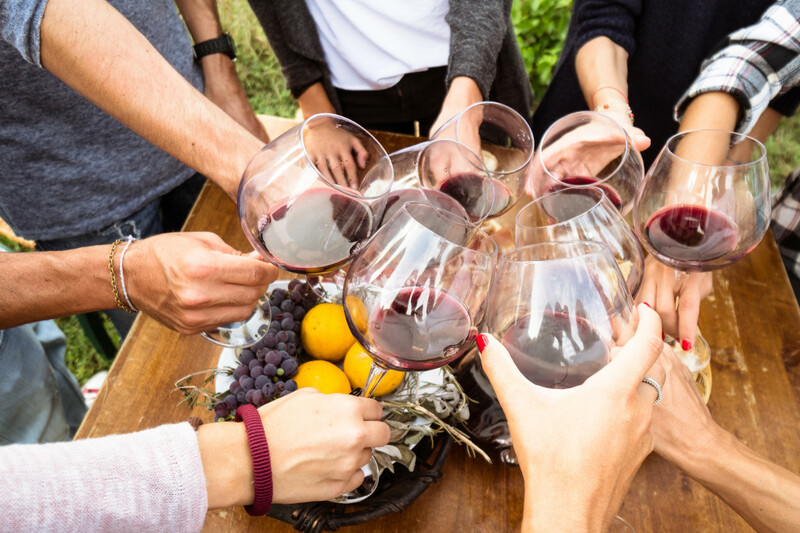 As you’re ready to fly home, keep this in mind: Alaska Airlines invites you to check up to a case of wine for free when you depart from the Sonoma County (STS) / Santa Rosa Airport. If you are looking for a vacation package, please check out our Napa and Sonoma Valley Package, and start planning your next getaway!